Mum and Dad have been experimenting on Chaos Servants, but now, the monsters have been let loose. 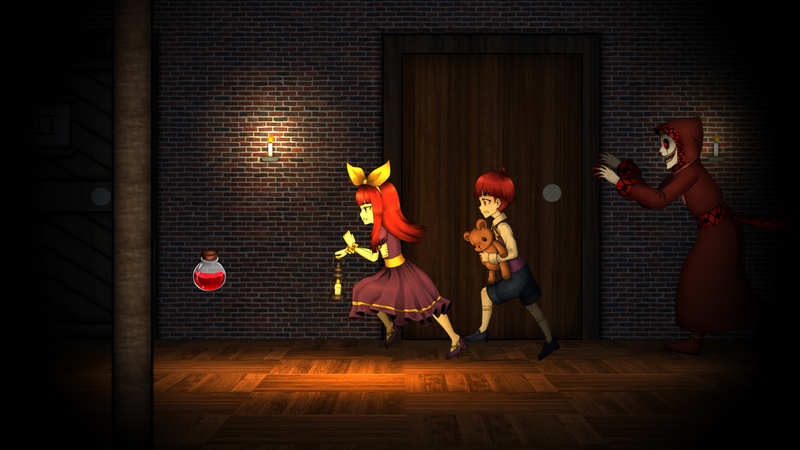 Clea, with her brother in tow, must escape from the Whitlock Mansion. Watch your back, Clea. Those closest to you may be the real terror. The Chaos Servants are on the hunt. Listen for their footsteps, peek under doors, and stay far, far away. 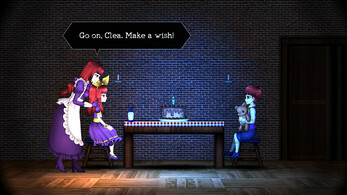 The Whitlock family has trapped Clea inside the mansion. Hunt down key items and solve the puzzles designed to lock you from the outside world. No prescripted scares, promise. Your skills and actions will determine Clea's fate. The Whitlock bloodline is filled with dark memories. 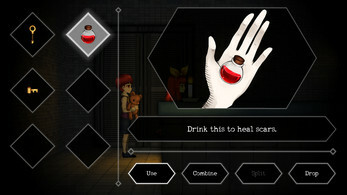 Obtain memory orbs and uncover your family secrets through bonus chapters. This game has a solid foundation to it and a bit of uniqueness to it. I just wish controls are a bit more refined. But all in all, a good start. Thank you Levont! I will check out that video asap and take in your feedback. Hey there, I just recently played through the prototype and wanted to share some of my thoughts on it here, just some stuff I might have liked, disliked, and any bugs I may have run into while playing. I know that currently this is meant to act as a proof of concept, so I'll definitely be taking that into account. I'll start with some of the things I liked. First off, the art, damn it's good. It seems to have this interesting blend between cute and dark, and I love it. 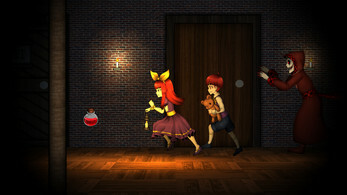 Next up is the monster and how it reacts to the players behaviours, such as how the monster is attracted to your loud foot steps when running, the only issue I noticed with the monster is how it doesn't react to the light coming from the closets the player hides in, this however is an extremely minor thing. The only thing I can think of that would be classified as a dislike is the current lack of story development, however given that it's a prototype I'm going to go ahead and guess that this won't be an issue at all later. In regards to bugs I believe I may have stumbled upon one. I had died in the game, on my second attempt I acquired two of the key pieces and went to try the door again, however when I opened my inventory I found that the key had already been combined and was the exact one I need for the door. I also had a mysterious third key piece. I'm not sure if this was a bug or not, but it felt like one. All in all this was a solid proof of concept, the foundations for a good story seem to be in place, the art is absolutely amazing and the monsters are creepy with just the right amount of threatening qualities. I'm curious to see where the project goes from here and will be keeping an eye out for more! I hope you don't mind but I made a short let's play of my time with your game over on my channel (linked above). Hi Killjoy! Thank you for playing/uploading, and for your feedback. With the key combined bug, let me open up my build now and see if I can replicate the issue. If I can, I will resolve it right away. Thanks again! Hope to see you in the full game :). Perfect thinking Crunch Time! Pretty much what I had planned. Thank you for playing! Sweet! let me know once the changes happen and ill take another wack at it! Thank you to you both for playing! Hopefully you enjoyed your time with it. By the way, may I ask what screen resolution you were on? Because I noticed some of the button text overflowed on the screen. Also, you are the first people to have noticed that cockroach! We recorded the video in full screen which was the default it launched on. Had lots of fun playing the game and hope to play more if you plan to expand on this prototype. Yeah, that cockroach was really tiny and kind of blended in to the background if your not paying attention you can't really notice it. Thanks Spudcats, happy to hear that :). I do plan to release more of an official demo later. Rather than being longer, it will most likely contain new features like difficulty modes, challenge-based objectives etc. Hope to see you in the full game! Wanted to post here so people could see what the game was like! Thank you for sharing your art! Thank you Nathan! I will have to fix that frozen Chaos Servant issue. Did you have to do anything in particular to trigger it? It could be duration related, so I am going to hide in a closet, wait for an hour and see if I can replicate this. It didn't seem to happen after i did anything specific. What I sort of remember is hearing him start to chase me at one point when i was sure he wasn't in the room with me, and the heartbeat noise started. I'm assuming his detection got messed up some how, and he saw me from a different floor. when that happened maybe his pathing got messed up because he was sort of stuck between a couple things. Not sure, and I'm not a programmer, but that's the most I remember! Thanks Nathan! I managed to resolve the issue this morning. There is no data linked to the final MT door (since it does not lead anywhere), and when the Chaos Servant is alerted around that area, it tries to find information that does not exist, and so it becomes confused. Very glad to hear you worked it out! I hope I was helpful in helping you figure things out! I really enjoy your game and I want to see it completed! I'm hoping to see deeper puzzles and new mechanics as the game goes along, any chance of that? 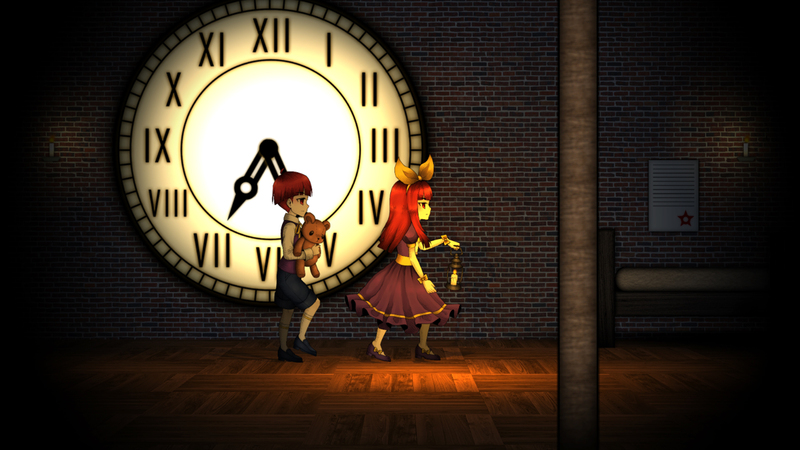 "I'm hoping to see deeper puzzles and new mechanics as the game goes along, any chance of that?" Exactly what I have planned ;). Thank you so much for playing queen! Hi again Queen. I noticed in your gameplay footage there were some UI issues on the inventory screen. Would you mind letting me know what screen resolution you are using? Thank you so much! Oh, what was the bug?